Say goodbye to manual processes and spreadsheets. EPM Cloud connects all planning — from long-range planning, to bottom-up budgets and forecasts. Close with confidence and align enterprise data. Emerging technologies such as AI, machine learning and advancements to process automations allow you to outperform with intelligence, reinventing analytics and reporting. Enterprise Performance Management (EPM) Cloud helps companies of any size lead with confidence in the digital economy. 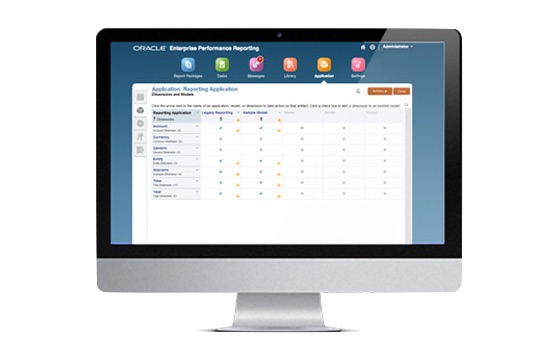 With industry standards and Modern Best Practice, Oracle EPM Cloud helps you drive accurate and agile plans across finance and lines of business, analyze profitability and cost management, accelerate the financial close, and much more. Analyze, Understand, And Report On Your Business. 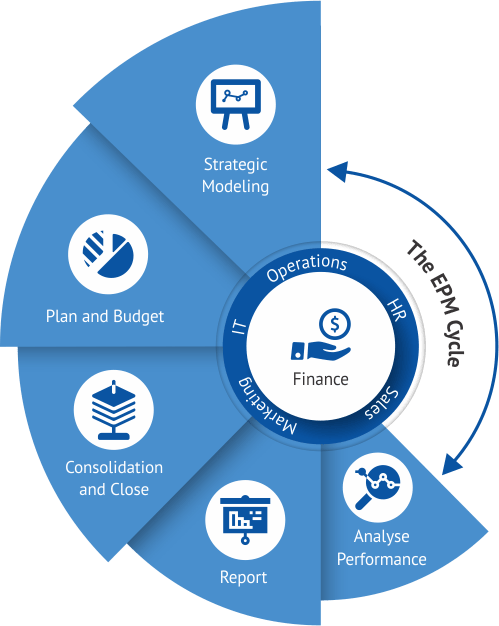 EPM executes strategic planning, budgeting, consolidation, reporting, and analysis processes in a closed loop. Traditional management accounting reports are transformed into “performance playbooks” — taking a more inclusive approach to explaining results. Just say NO to upgrades. In the era of digital disruption, organizations seek to be more nimble. The cloud offers the agility to rapidly adapt and stay ahead of changing conditions. Moreover, by moving EPM to the cloud, the risk of technology obsolescence drops to zero — putting the business on a more solidly competitive footing. 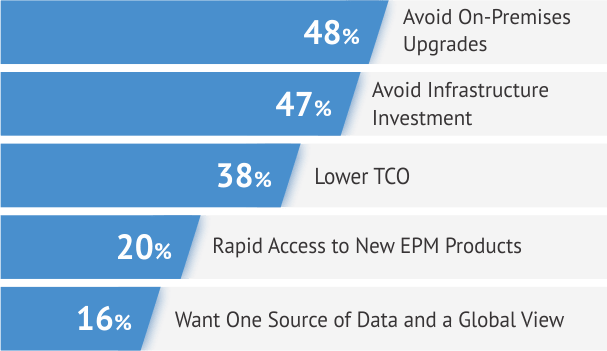 Economic considerations remain key reasons for moving to the cloud, but with systems starting to age, avoiding on-premises upgrades rises to the top. Do you have EPM Processes in the Cloud? Within the office of finance, EPM processes have often been the first to move to the cloud, and EPM in the cloud is rapidly becoming the new standard. The pace of adoption is accelerating, with 62 percent of this year’s survey respondents reporting that they are currently running EPM processes in the cloud, or will within the next 12 months. This is up from 46 percent in last year’s survey. 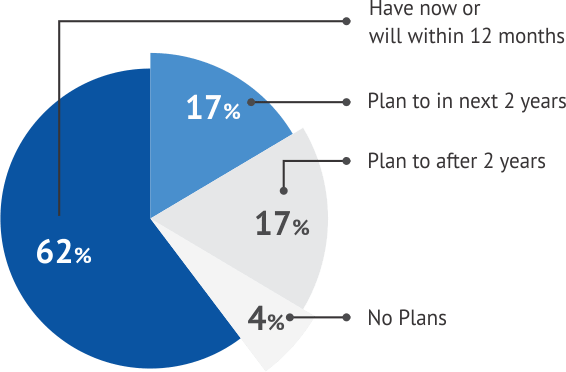 Overall, 79 percent of respondents indicate they have plans for EPM in the cloud within the next two years, versus 65 percent in last year’s survey. An important characteristic of modern EPM cloud is the unified solution or applications suite. When compared to deploying a single-point software application—such as consolidations or planning and budgeting—an EPM cloud suite offers the best advantage. A complete solution integrates management processes across the organization, aligning strategy with execution. Rationalize the number of enterprise performance reports and business views, eliminating redundancy and reports with minimal relevance. Shift business analysis away from backward-looking reporting toward forward-looking decision support. Implement optimized EPM system that will help drive operational excellence across your enterprise.